YELLOWCARD RELEASE 1ST SINGLE “ALWAYS SUMMER” FROM NEW ALBUM! 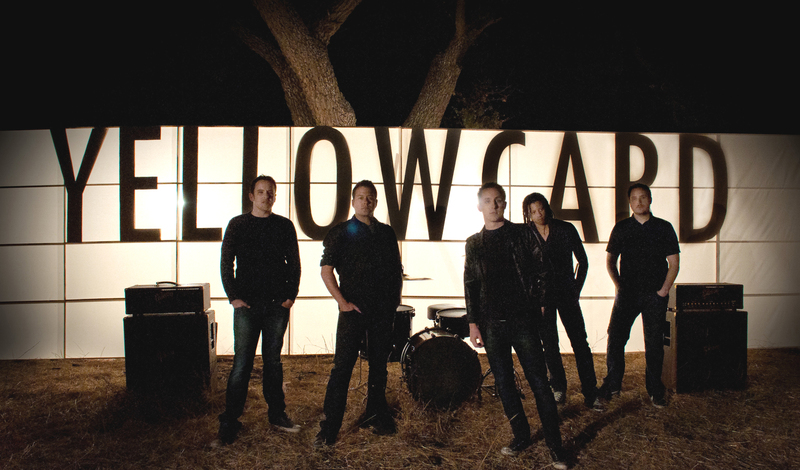 After coming out of hiatus last year with their seventh studio album When You’re Through Thinking, Say Yes to worldwide acclaim, Hopeless recording artists YELLOWCARD are getting ready for another big and powerful year with “ALWAYS SUMMER”, the first released track from the upcoming album due out later this Summer. With a new and firm lineup (Josh Portman fills in for departing bassist Sean O’Donnell), Yellowcard have been hard at work in the studio with longtime producer Neal Avron, creating another career highpoint in a history filled with pinnacles. A fresh and energetic guitar-led track, “Always Summer” crashes out of the gate with their dual-guitar attack with a muscular rhythm section and punctuated by Sean Mackin’s distinctive violin, providing a perfect rallying cry that not only are Yellowcard back, but they’re here to stay. Confident and strengthened by the fan support they’ve received on their return with WYTTSY, this song is not only a love song of sorts, but also a thank you to their fans, in which Ryan Key sings, “I think I have everything I need / It got dark, but now I think I see / The World around is full of arms still reaching out to me.” The track will be streamed exclusively on Absolutepunk.net on Monday, May 21st and will be available on iTunes starting Tuesday, May 22nd. Kicking off the Summer with a special performance at USA 7’s Collegiate Rugby Championship at PPL Park in Chester, PA, on Saturday, June 2nd, Yellowcard will be one of the headliners on this Summer’s 2012 Vans Warped Tour which begins in Salt Lake City, UT on June 16th and wraps up on August 5th in Portland, OR. With over two million albums sold and eight singles that have received significant Top 40 and Alternative radio airplay including the smash “Ocean Avenue”, Yellowcard’s most recent studio album, When You’re Through Thinking, Say Yes debuted on at #19 on Billboard’s Top 200 albums and top ten charts worldwide when it was released last Spring. Their upcoming album is set for release this Summer and features guest vocals from Alex Gaskarth (All Time Low), Cassadee Pope (Hey Monday), and Tay Jardine (We Are The In Crowd).